The 300SE has been suffering from poor hot starts. It required a lot of cranking before it fired. On a K-Jet car, this is normally caused by a faulty fuel accumulator. From what I understand it’s the job of the accumulator to hold fuel pressure after the car is switched off. I also planned to change the fuel filter as I didn’t know when it was last changed. I also had the small in-line filter that fits in before the fuel distributor. It will have to wait as I didn’t have time to change it this time. Obviously when working around fuel I had to take precautions. A friend of mine lost his workshop to a petrol fire. chief among these is making sure the battery is disconnected and the appropriate fire extinguisher is available. The job is not hard, but it is fiddly and messy. The whole tank can drain out once the accumulator is removed unless the line is plugged. The accumulator, fuel pump and fuel filter are all joined together and are hiding behind a cover near the drivers side rear wheel. 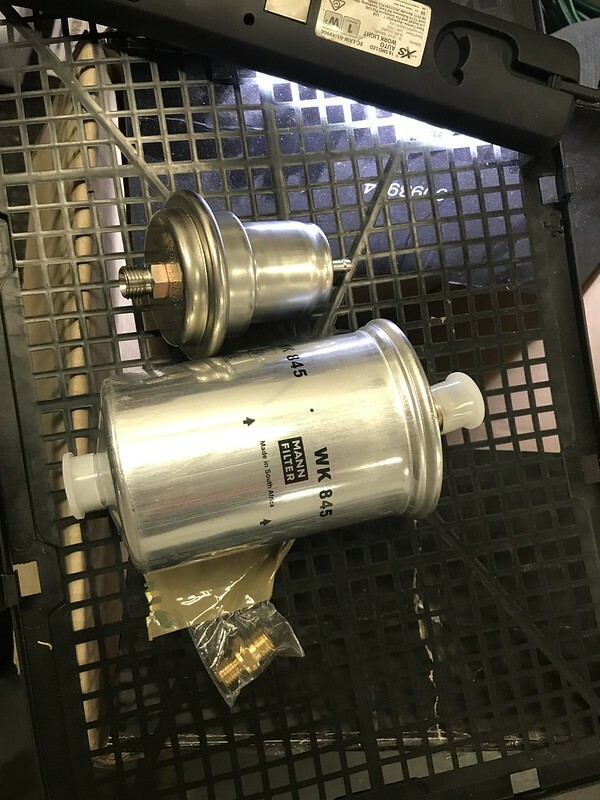 My fuel pump looked old, but it has not given me any trouble so did not replace it. 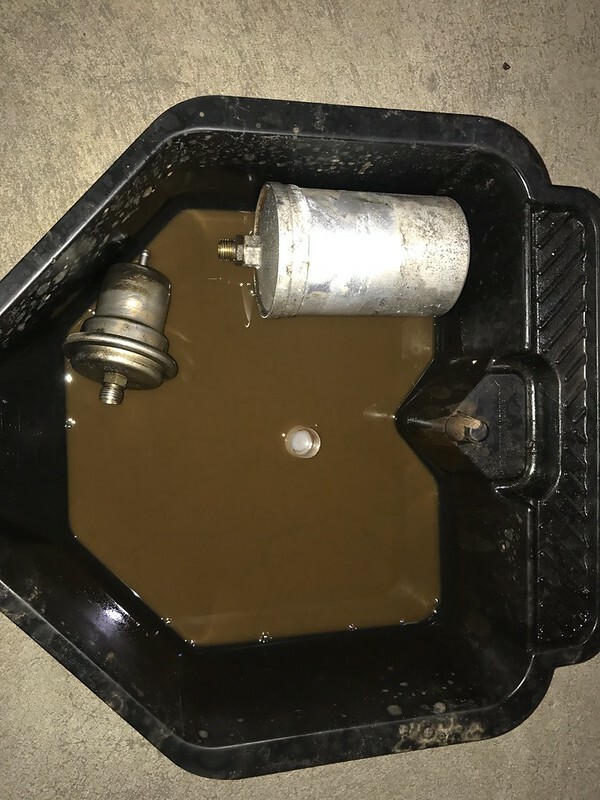 One thing that surprised me was how much dirt came out of the fuel filter when it was removed. The filter is directional, so once fuel was able to run the other way, the dirt could escape from the filter. 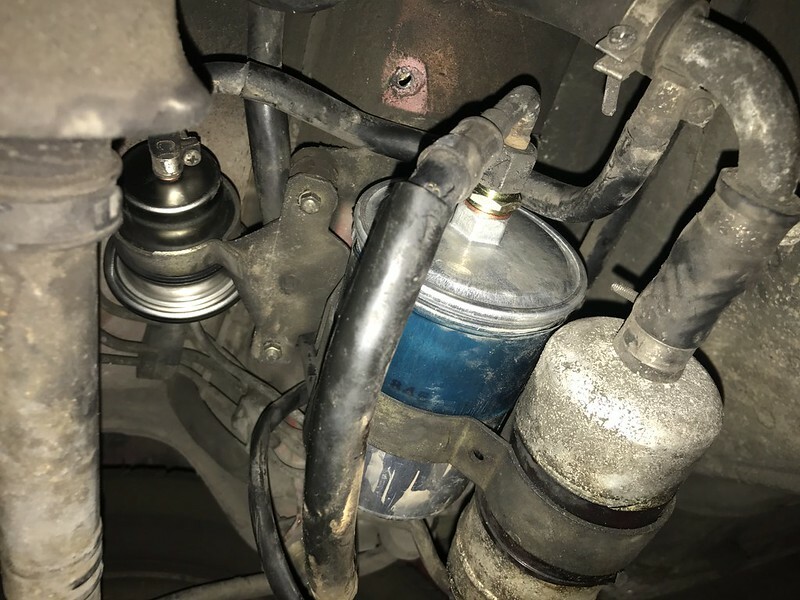 Shows the importance of regular fuel filter changes! I have not really been able to test this repair, but the car started easily between testing for leaks and tidying up after the job (15 mins). Before it would have been harder to start. This is a good sign. 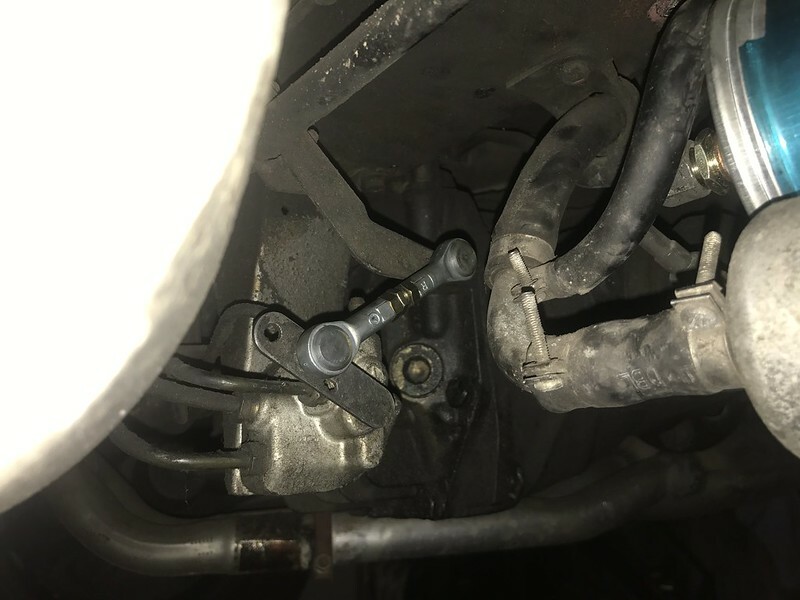 While I was under the car at the back I also replaced the little connector for the height corrector. Mine had pretty much completely disintegrated. I noticed this a while back, but hadn’t been able to get to it. Slowly, I am getting the 300SE to the level where it can be a reliable daily driver. Having owned many Mercedes from this era, this one has been the most needy so far. My hope is once these key jobs are done I will have years of trouble free motoring. This is likely a pipe dream!